Big bodies, bold details and they're easily seen, the Bigfoot Oversized Full-Body Pintail Drakes get the attention you want while you're out hunting waterfowl. Bigfoot-style legs and feet make setting up easy. 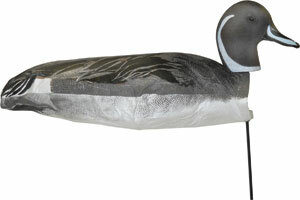 Oversized bodies mean fewer decoys needed and greater visibility from the air. Durable polyethylene construction. Drakes per four pack. Pro Series II Pintails Xtreme Definition ~ Patented, Non-Reflective Surface on both sides are an excellent way to "dress up" a field spread or around your pit. Digital detail, enhanced artwork and colors. Life sized with color matched stakes. 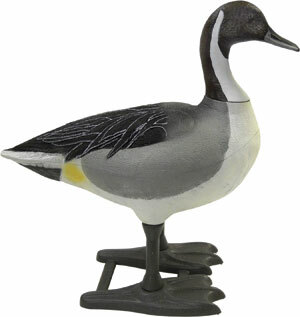 Pro Series II Pintails are sold per dozen which include six drakes and 6 hens in 12 individual poses. 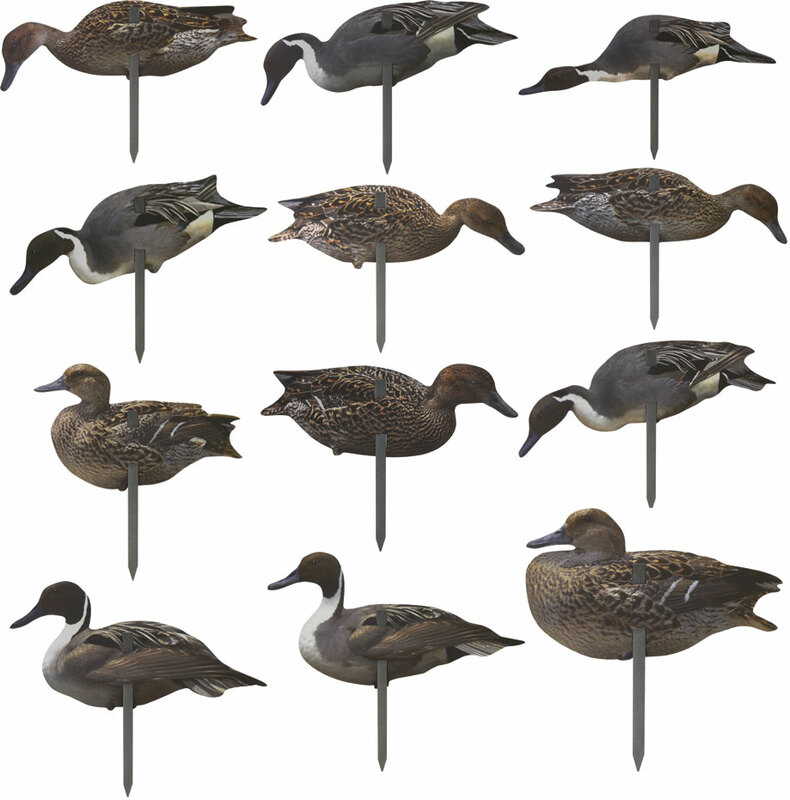 These come standard with the lifelike 12 Drake Pintail Feeder Heads, Patented NO-Break BackBone Support, 12 Drake Pintail Body Bags (10” W X 17” L), 24" Deadly® Decoy Stainless Steel Stakes, and retainer tubing. We do not make disposable decoys. 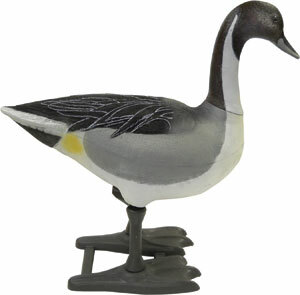 These are a high quality durable decoy. 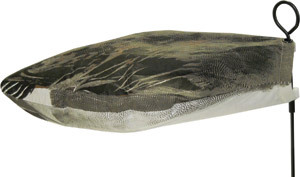 Our decoys are designed to last for years. 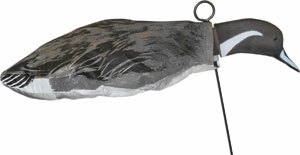 Our patent NO-Break BackBone Support gives the decoy a full body with realistic look in winds from 0-60 mph. The Tyvek® Body Bag is light weight, waterproof, and rot proof. They will withstand the extreme temperatures of late season hunts. These decoys come standard with the lifelike 12 Drake Sentry Pintail Heads, Patent NO-Bread BackBone Support, 12 Drake Pintail Body Bags, 24" Deadly® Decoy Stakes (3/16" Stainless Steel), and retainer tubing.